Point Shot: O'Reilly uses a near record night in the circle to dominate the Habs - The Point Data-driven hockey storytelling that gets right to the point. Ryan O’Reilly made his case last night for being the most dominant face-off man in the NHL in a 4-1 win over the Montreal Canadiens. None of the Canadiens players had an answer for him. 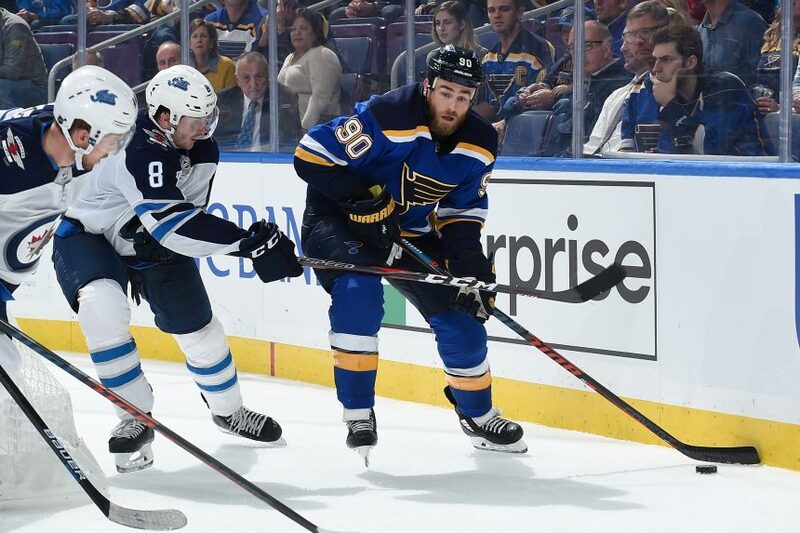 O’Reilly took 28 face-offs and finished one win shy of the Blues record of 23 wins set by Pierre Turgeon. Max Domi was tasked with taking him on all night and ended up being victimized as O’Reilly won 9 out of 10 draws against him. Being a stud in the face-off circle isn’t anything new for O’Reilly and last night his efforts led to offensive success for his team. One face-off, in particular, provided a perfect example of why his face-off prowess is so valuable. The Canadiens drew a penalty but O’Reilly got the face-off win resulting in a fast break with him and Oskar Sundqvist who ended up burying a shorthanded goal. O’Reilly’s been dominant all year for the Blues and he’s made his mark on the league. 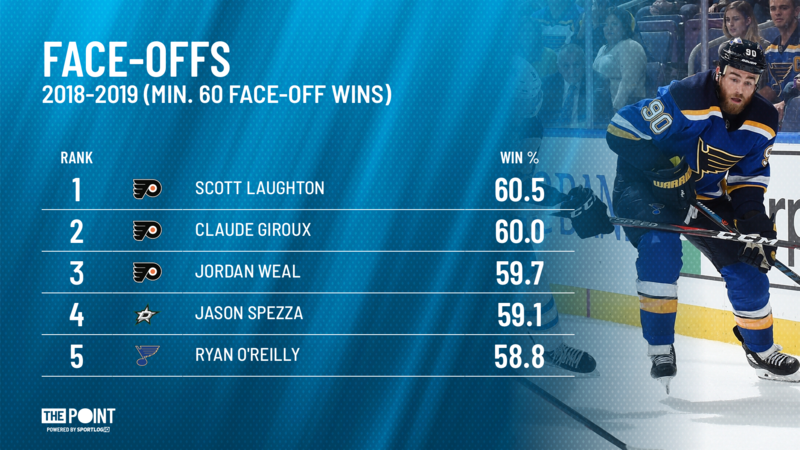 His 58.8% win percentage is the 5th best out of the 212 players who’ve won a minimum of 60 face-offs. Furthermore, he really bears down when shorthanded. Down a man, O’Reilly has the 6th best face-off percentage in the defensive zone out of the 71 players who’ve won a minimum of 30 shorthanded faceoffs. If the Blues can have O’Reilly come out to start a kill and he gets a clean win that results in the puck being iced, then they’re already able to knock a good 20 seconds off the clock. That’s an invaluable skill and one that makes O’Reilly one of the best two-way centermen in the league. O’Reilly’s dominance at the dot doesn’t get nearly enough attention. There’s been little to no fanfare today about his play last night, even though he had two assists and completely negated the Canadiens attack by rarely losing a draw.